Surfing the Internet has become much more insecure as viruses and malware are widespread on most of the sites. Also advertisements have become much more famous then the content. Spotflux, an application compatible with Windows and Macintosh, relieves you from all of this. 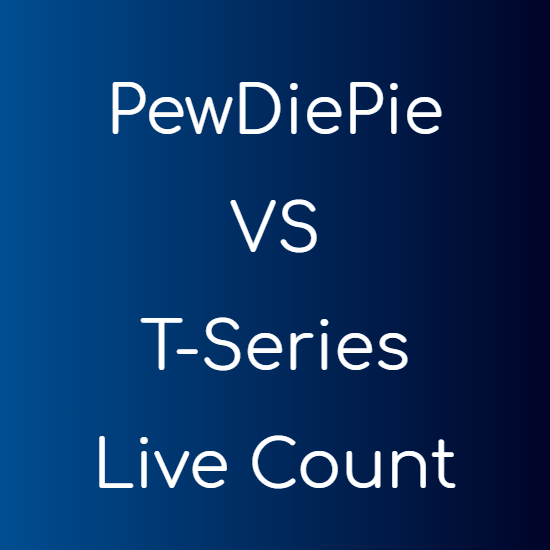 It protects you from viruses and malwares, lets you access blocked content and also sets up a secure channel when sending or receiving data over an insecure channel. 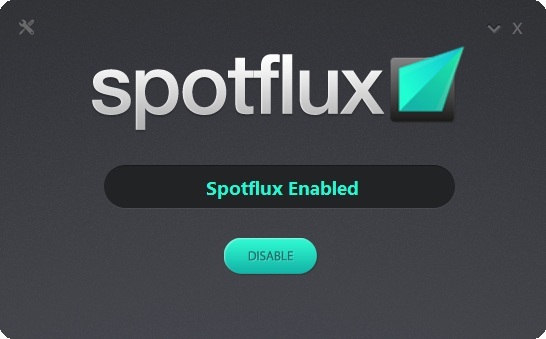 Spotflux does not gives you many options, just enable it and it will take care of the rest. 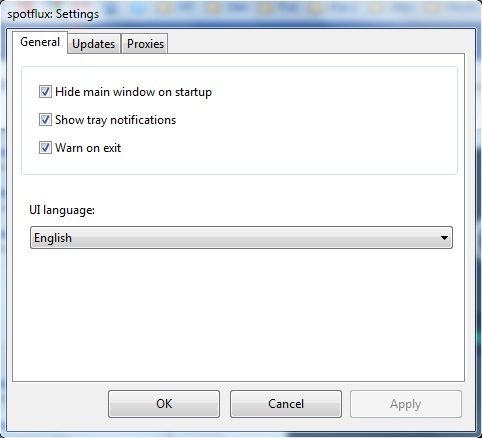 This is the settings menu that you can have from the top left wrench like icon. Note : Since all the traffic is encrypted, you can get slower speeds. But this is very less cost for the security you will have with spotflux.